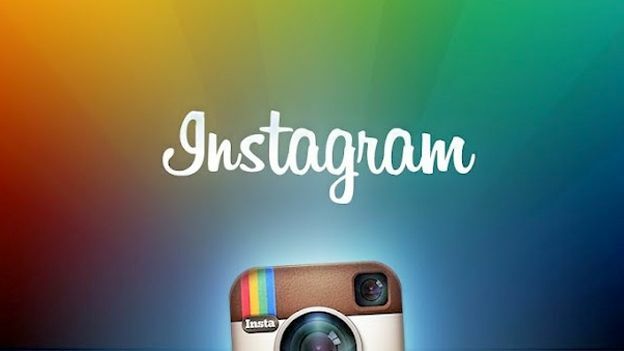 OPINION: Instagram founder says Ts and Cs are ‘easy to misinterpret’ – but should they be? OPINION: Instagram founder says Ts and Cs are 'easy to misinterpret' – but should they be? Popular 'make your photo look like it's all old' app Instagram got itself in quite a pickle this week, when a change in its terms and conditions seemed to imply it retains to right to sell or do whatever it wants with any of its user's pictures, without giving them notice or any of the cash. Like the righteous scythe it can sometimes be, the internet community quickly went into uproar over this, and before long even the old media big boys were writing up the controversy. He says himself that “legal documents are easy to misinterpret”, which does highlight how cynical it is for a lot of these sorts of services to go through the motions of making you 'sign' a 300 page legal document that few outside the legal fraternity can have much hope of fully absorbing. It's pretty easy to see why this was seen as 'we can sell your pics'. “In the longer term, this does add to the regulatory concerns that many government agencies globally have with Facebook (owner of Instagram) and others (including Google). While this move may be legal now, will Facebook still be able to sell photos in a year's time? Years are more the timescales that regulators work to. There could also be some legal challenges if people who are not users are featured in photographs which are later used in publicity campaigns. The person uploading the photo has agreed to the terms and conditions, but that doesn't mean that every person featured in a photograph has – what about their privacy? On the other hand, if Instagram's claim is 'we didn't mean that', and everyone else thought they did, that's not the most effective contract ever written, is it? And should Ts and Cs be 'easy to misinterpret'? We're now in a situation where downloading an MP3 of Gangnam style (if you do it legally) requires you to have a remarkably complex and long winded legal agreement with a service like iTunes. How many people can hold their hands up and say they have read through and digested all the clauses and conditions that involves, as if you were taking out a mortgage with Apple? It's not so ridiculous to compare the two – as of December 3rd, your contract with iTunes runs at 14,545 words, or 31 A4 pages at size 12 font. And you wouldn't be expected to grapple with a mortgage contract on your own. You'll be paying a property lawyer to handle all that, because by the time you got the second paragraph you'd be lost in a maelstrom of legal jargon . Point in case – the mass outrage when Bruce Willis apparently tried, and subsequently found out he wasn't entitled to, leave his iTunes library behind in his will. Whether pure rumour or concrete fact, the story did serve to highlight to many people that you don't 'own' the music you download in the traditional sense. It's much more of a renting deal. Who knew? Well apparently we all should have since, you know, we signed the contract. But few did, it seemed. In terms of what this means for Instagram, it may decide to not go down that whole 'selling your pics to whomever' road following the public outrage it triggered. But it's a bit of a PR nightmare in any case. While people will moan about various changes to the UI in Facebook, few will flock away from it since it doesn't have a comparable rival at the moment. Instagram finds itself in far less of a hegemonic position – and this bad press alone could be enough to see many jump ship to a rival brand. And on a wider note, people might start taking a bit more time and effort to scrutinize the weighty and potentially very serious terms and conditions they are signing up to the next time they find a quirky app to download. And those that have passed the bar might even have a good chance of understanding them.